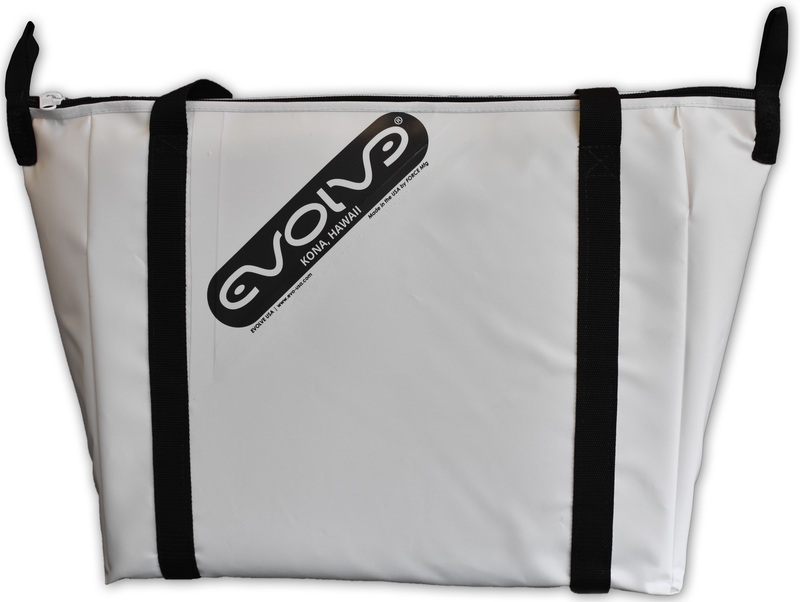 The Evolve KILL BAGS have arrived! 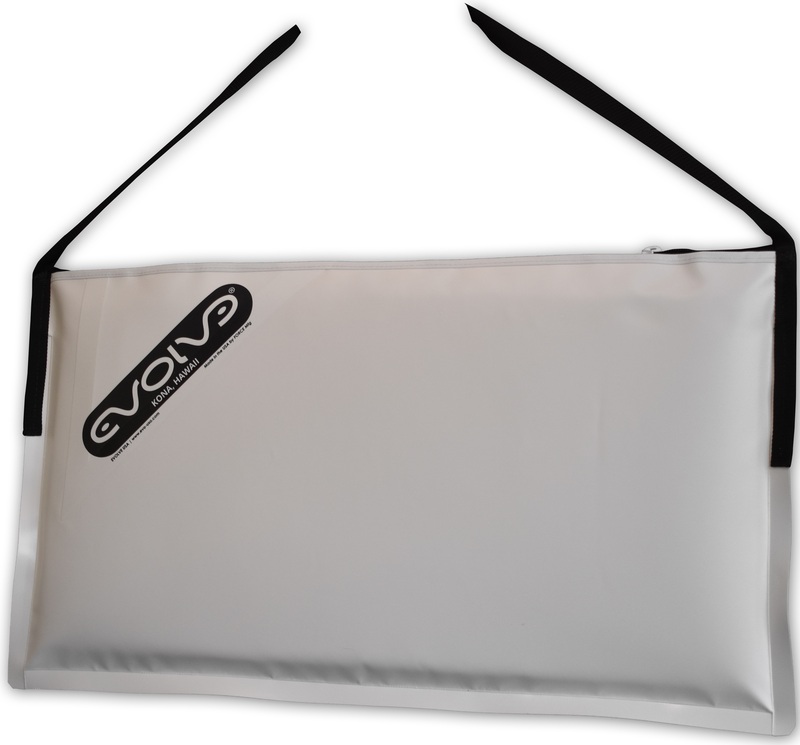 EVOLVE Kill Bags are the highest quality insulated fishing and hunting bags you’ll find ‐ PERIOD! 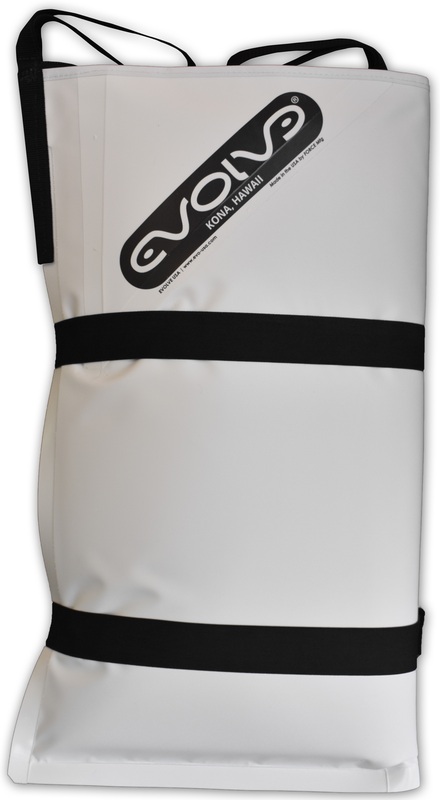 These bags are manufactured with leak‐proof, heavy‐duty 18‐oz fiber‐laced reinforced skins, heat‐sealed construction and no stitching to get blood soaked, and will keep your boat clean. 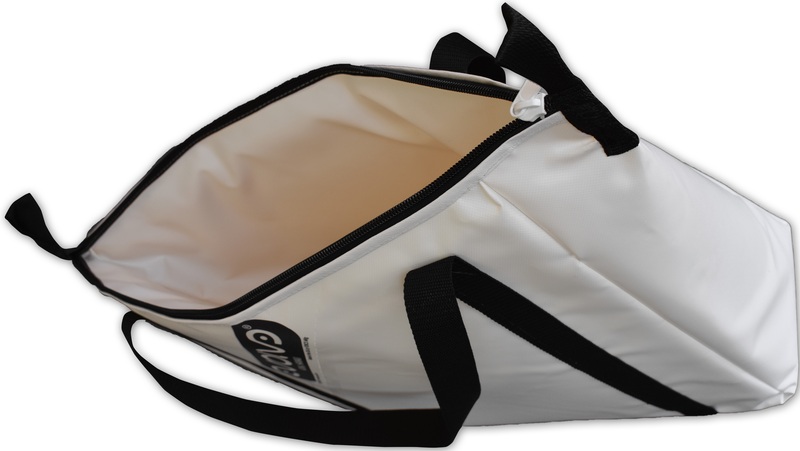 The Heavy‐Duty handles can be used to hoist the bags to conserve deck space ‐ no more bulky coolers. 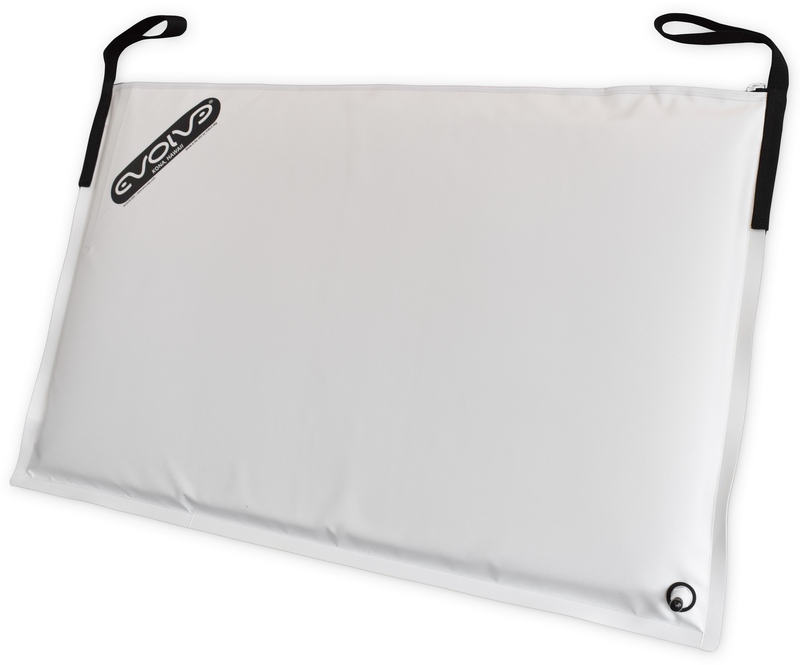 The double‐layer of unique, one‐inch thick, hi‐tech foam insulation will keep fish cool longer than any other bag! 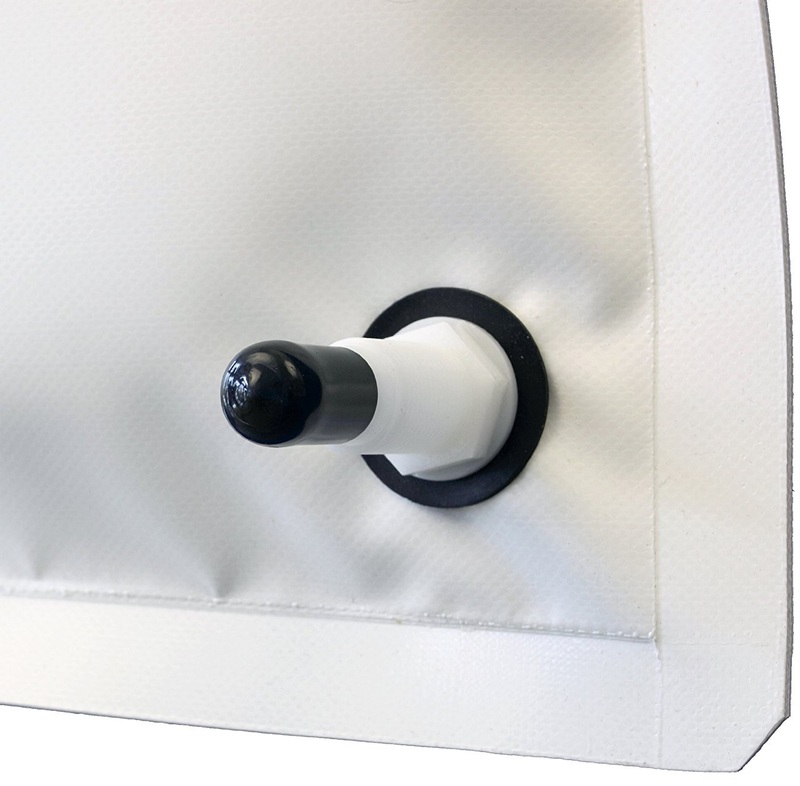 The larger size bags include a drain with hose fitting for easy cleaning. Hand‐Made in the USA ‐ Limited Lifetime Warranty. 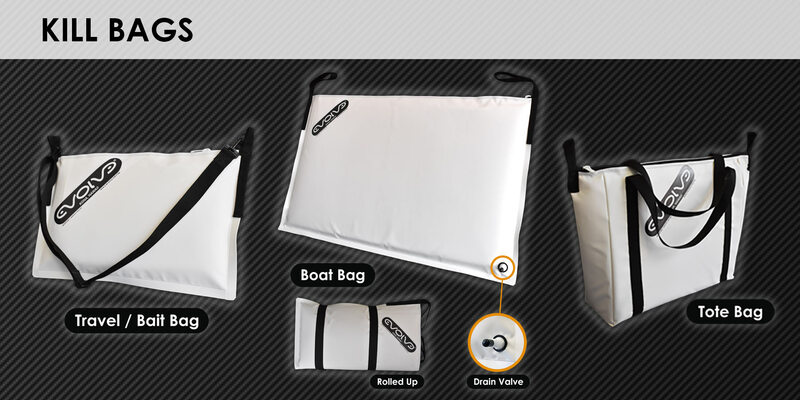 Voted 2016 “Gear of the Year” for Insulated Fish Bags by Florida Sportfishing Magazine! You can also customize any KILL BAG to any dimensions and shape of your choice! Whether you want to fit exactly the shape of your live-well or a huge bag to fit the exact size of your pickup bed, you provide us with your requirements and we will ship out within 2-4 weeks! Aloha! Do you have coolers bigger than 50″ internal diameter? Aloha! No, at this time we do not have any that large.